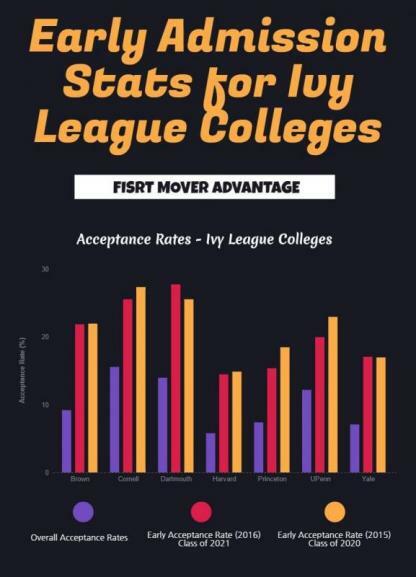 Class of 2021 Early-Application Acceptance Rates of Ivy League and Top Colleges clearly showed the advantage of applying early – early decision and early action rounds. The formation of the Class of 2021 at the Ivy League and Elite Colleges has started. 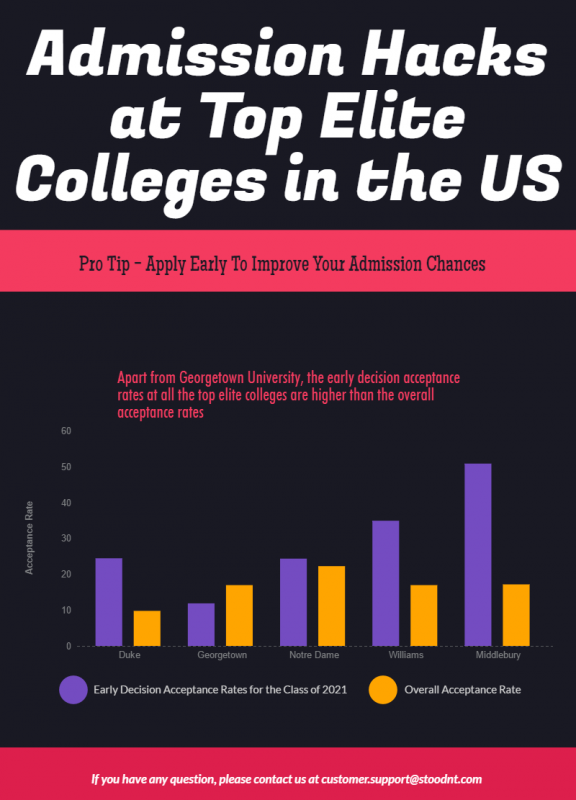 Like the previous year, the early decision acceptance rates are significantly higher than the regular decision and overall acceptance rates. So, the incentive for applying early is indeed there. Most of Ivy League and other top colleges have announced their stats of early admission. Stanford, Chicago, Northwestern, Amherst and Davidson are yet to announce their figures. Columbia University, as usual, do not publish their stats. Majority of the colleges and universities have seen a record-high number of applications this year. 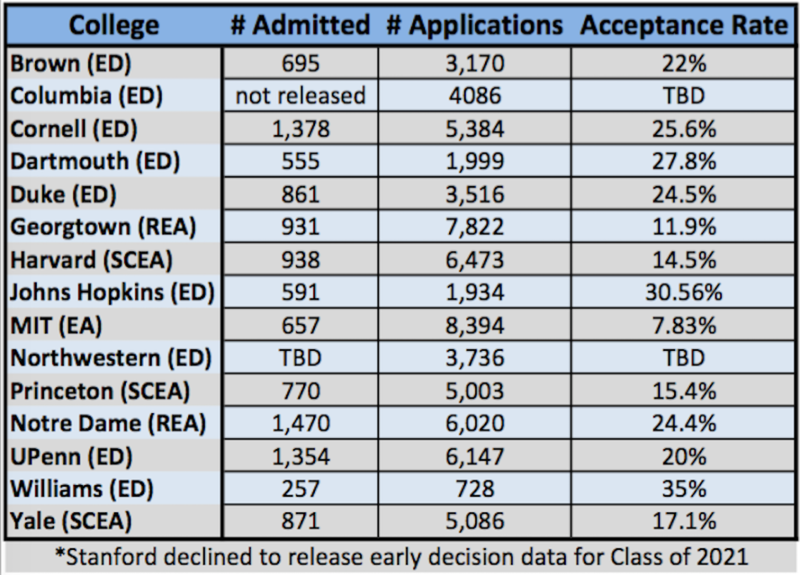 Below is the table showing the figures for top colleges (source: TopTierAdmissions). Harvard has the lowest acceptance rate (14.5%) this year among all the Ivy League Schools. Overall, MIT has been the toughest for all with the acceptance rate of 7.83%, and received the highest number of applications (8, 394). Dartmouth College and Brown University received the maximum number of applications in their history. 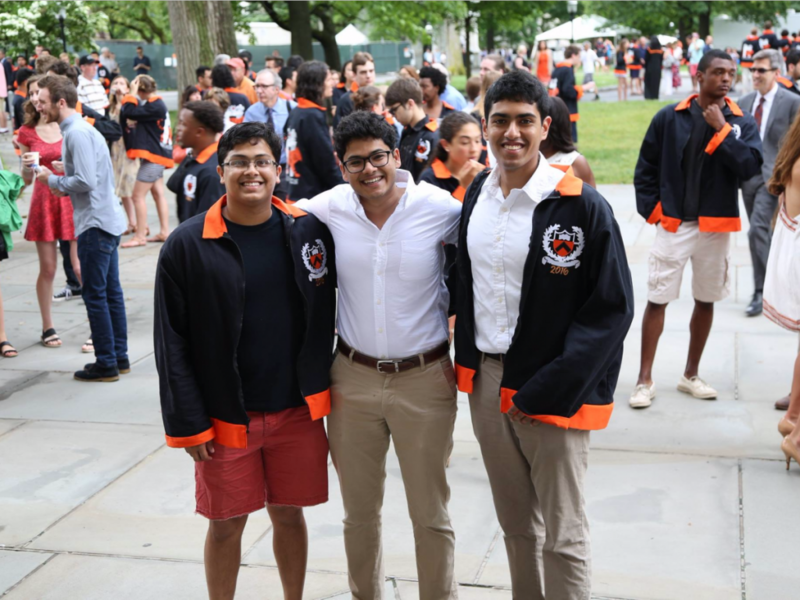 Whereas, Princeton University, which received 4, 229 applications in 2015, got 5, 003 applications this year, an increase of 18%. 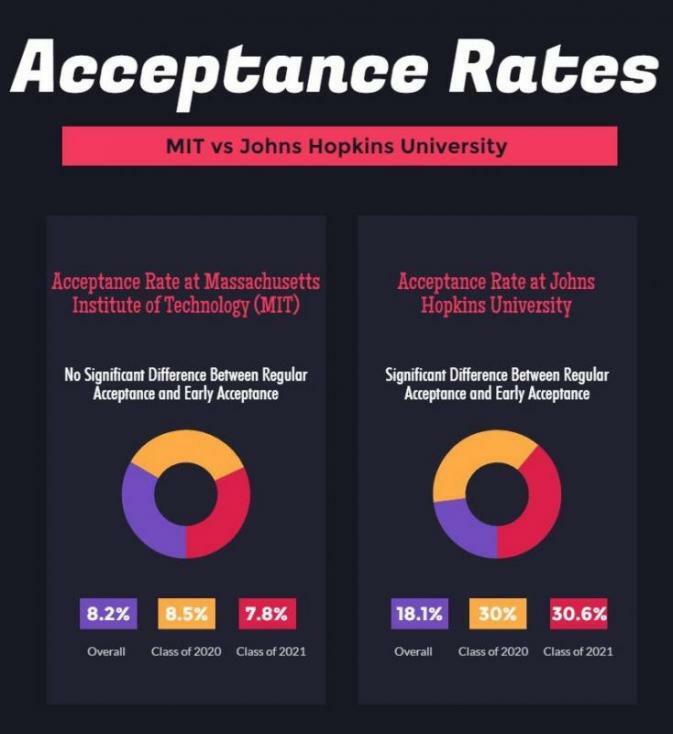 William College and Johns Hopkins University have been the most generous in the early action round with the highest acceptance rates. Notre Dame, Columbia and Pennsylvania admitted maximum number of applicants – 1, 470, 1, 378 and 1, 354 respectively. Have a look the following infographics with admission stats. Dreaming of getting into Ivy League Schools? Be the Early Bird! MIT has been the toughest of the lot irrespective of the applying round. 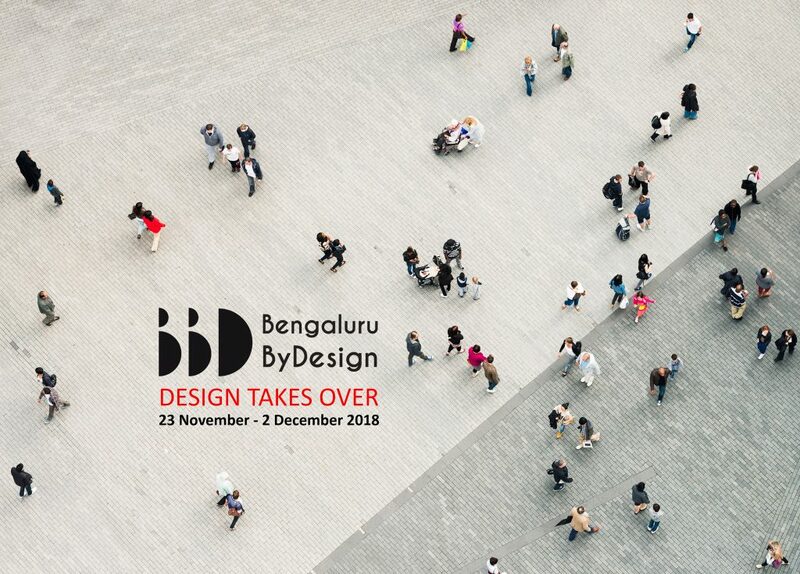 Still, be the Early Bird! 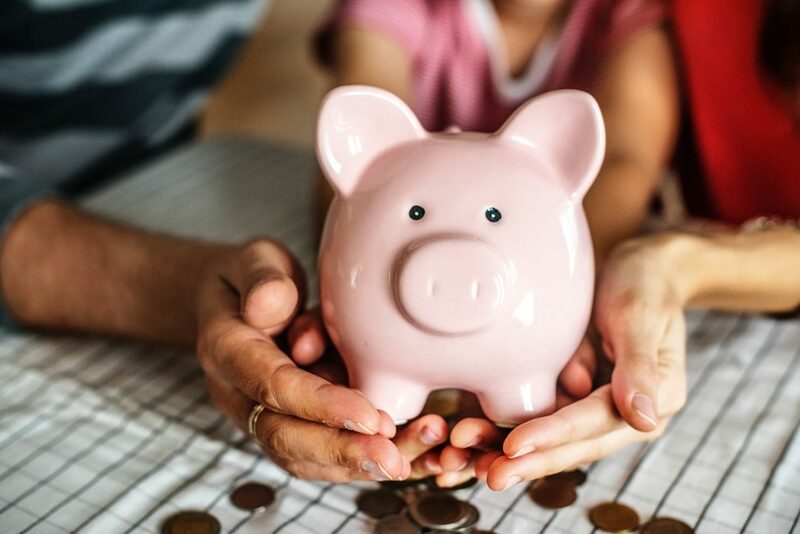 So, The Best Hack of Getting into Top Elite Cooleges – Be the EARLY BIRD! For those who are not too familiar with the rules at the Ivy Schools. Harvard, Yale and Princeton are restrictive early actin schools. It means, applicants can apply to one school at the early action round, but can decide whether they want to join or not by the summer (May). 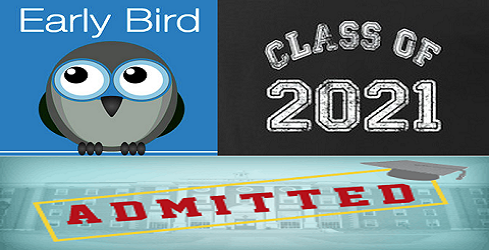 On the other hand, Brown, Columbia, Cornell, Dartmouth, and Pennsylvania (UPenn) are strictly early decision schools. If accepted, applicants must enrol. Check out the Class of 2023 Early Admission Stats at the Ivy League and Elite Schools.